One area in our homeschool experience that seems to always defy the one-size fits all solution is that of math. Each child seems to need a little something different to be successful in this area. Our latest review was completed by our 14 year old son who has worked with the on-line math tutoring program from CTC Math through their 12 Month Family Plan. The product we were reviewing is the 12 Month Family Plan subscription to CTC Math’s Online Math Tutoring program. This product has math tutoring topics for students from kindergarten all the way through high school. The elementary grade units are complete enough to be considered a full stand alone math program. However, the materials at the middle school and high school levels should be seen more as a math tutoring program or supplement to your math core program. 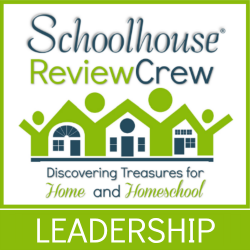 The 12 Month Family Plan is currently on sale at the time of this posting so that homeschool families will experience a 60% discount off of the normal pricing. Single student subscriptions for twelve months are currently priced at $78.80 and family subscriptions are on sale for $118.80. This family subscription is for a full 12 months subscription for up to 10 students in your family and includes all levels of the program from Kindergarten through Trigonometry and Calculas. We really tested this product with our 14 year old son. He has been a tough one to find a good fit in math curriculum for. I hesitate in jumping from program to program in math out of fear in creating gaps in his learning, but also believe that if we can find the right program he will soar like never before. So, we took a break to see if CTC Math might be the ticket. The first step in activating our account was to set up a parent account. This led to a digital dashboard that let me see where each of my children was at, the progress they were making, and set parameters for their account. By entering my email address in this parent area, it allowed the system to send me weekly updates right into my inbox on exactly what days my son signed in, the progress he made, and if he had completed any units or gained certificates. The worksheet can be viewed online or can be printed. When the student completes the problems, he then enters his answers. When he is satisfied that all the questions have been answered to the best of his ability, he submits his work and the computer automatically grades it for him. He can then go back in and take a second try at any problems that he missed on the first pass. An additional area of the program that we did not use extensively is the speed drills. These speed drills are great for younger students in practicing their basic math facts. The videos were short and clearly presented. The worksheets had a reasonable number of problems (generally 20 to 25). There was an answer bank for the student to choose their final answers from which helped him to assess if the answer he got from his own calculations was reasonable. He got instant feedback on how he did on the lesson. He appreciated the certificates that print out at the end of each unit with a ribbon that matches the level of achievement that the student attained. Overall, we certainly felt that CTC Math was a rather good fit for our son. One of my greatest regrets is that it is not a complete curriculum at this time for the upper grades. I could see us using this as his sole math curriculum if the upper grades could stand alone as the only math curriculum he needed to satisfactorily complete high school level math. Some areas that I think would improve this tutoring software would be the expansion of diagnostic testing throughout the middle school and high school units; an initial placement test to see where you child should begin when first being introduced to CTC Math; and possibly adding instruction on solving certain types of math problems both with and without a calculator. I realize that many things are becoming automated in our world, but feel it is important that the student understands the basic math behind a problem before being taught a short cut with a calculator. Our final suggestion would be for some sort of comprehensive review be built in between the different units to help the students brush up on units that they may have covered several months prior. Our son has already asked if he can finish out his school year doing the rest of the topics in this level of CTC Math. I have to believe that the impact of his enthusiastic attitude when using the program may help him to master the topics at a greater level than if we were to go back to his old curriculum with grumbling and complaining. Who knows, maybe by the Fall when we get back full force into school, we will find that the upper levels have been expanded and it can serve as his primary math curriculum. As always, check out what our crewmates have to say about their experience with CTC Math’s on-line tutoring software.